There are few things that bring us as much joy as attending the Single Malt & Scotch Whisky Extravaganza in Boston. 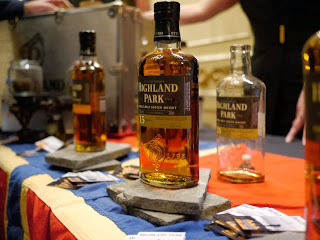 We cut our whisky baby teeth at that event and have been chowing down ever since. Also, we love the organization behind the Extravaganza, the Scotch Malt Whisky Society of America (SMWSA), which should come as no surprise when you recall that we have a regular “column” in their member magazine, Unfiltered (see the image of the cover, at the top of the left-hand column of this page). 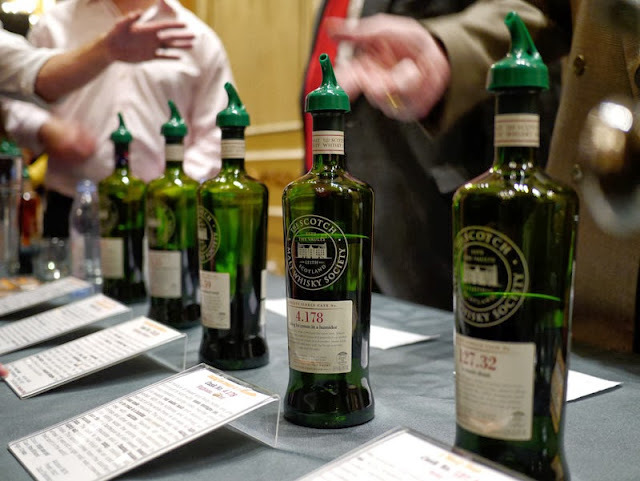 There are bigger events, and there are events with more whiskies on offer, but we love the intimacy of the Extravaganza, we love the food, we love the venue, and no other event has a table pouring a slew of gorgeous, single cask SMWS bottlings. Did I mention we love the SMWSA? Do we ever. 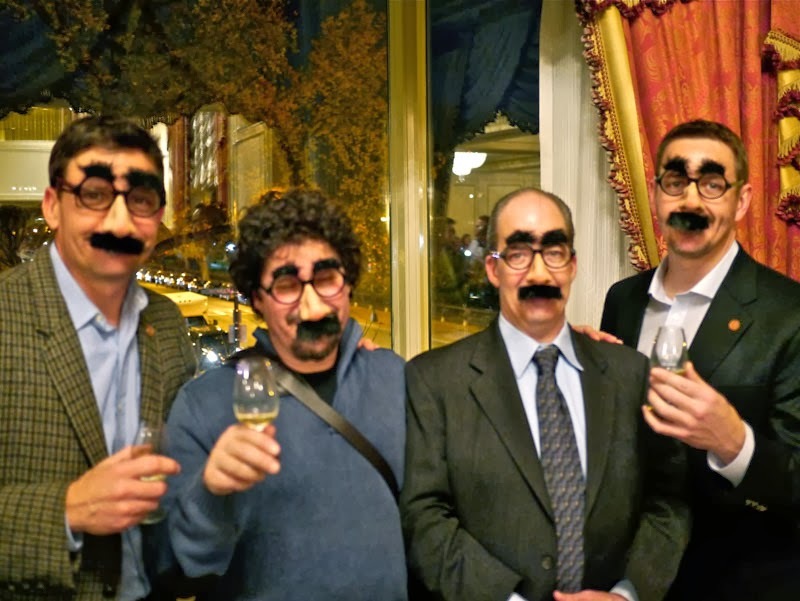 This year, the SMWSA did a wonderful thing and scheduled the event for mid-November, almost a month later than the event had occurred the last several years. This took the Extravaganza out of the busy whisky event-filled month of October and turned it into a welcome oasis in the family- and travel-filled month of November instead. Whisky buffs around the northeast rejoiced in unison (we were pretty sure we felt a wave of relief and elation ripple through the Whisky Fabric, the whisky geek equivalent of the Force). And we were right there with them. Our hats off again to the organizers for that stroke of brilliance. The timing made the event much, much, much more enjoyable. 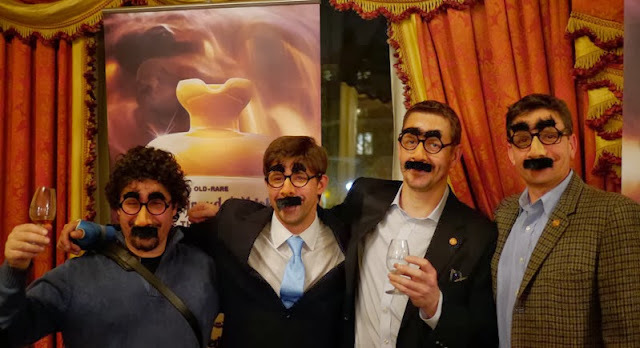 The 2013 Boston Extravaganza featured many familiar drams and faces, such as Joe Howell from Federal Wine & Spirits (pictured left), along with some new ones (I was stoked to have a chance to speak briefly with, among others, NESN’s Tom Carron). The main ballroom was a bit cooler than in previous years, perhaps just because it was later in the year and thus colder outside. And once again, the buffet featured food of exceptional quality, and this year’s buffet featured turkey and cranberry sauce, an appropriate nod to the impending Thanksgiving holiday. And once again, the cookies rocked Bill’s world. I should also note that we enjoyed catching up with Tom Lewis from Usquaebach. Unfortunately, he was still wearing the cast on his thumb that matched Bill’s from an earlier event (Bill had ditched his a week or two prior). 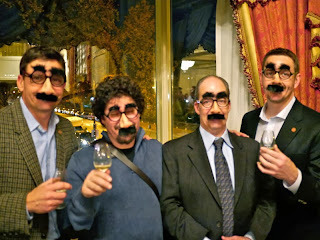 But we thought we’d try to make him feel better by getting a pic of him with us in the Grouchos (pictured below). From the look of it, he seemed to be feeling alright in the picture at least. Finally, it was great hanging out with fellow whisky blogger Bozzy Karasu (of tire-bouchon fame) for much of the evening. But I add that here at the end because that’s just something we enjoyed and wanted to note. That is not something you could readily enjoy at the event, because he’s our friend. You can’t have him. And along similar lines, I won’t even mention the afterparties John, Bill, and I split up to attend. Oh wait, I just did. Crap. Oh well, you get the idea: another iteration of what is a great event all around and one we thoroughly enjoy returning to every year.